From Goodreads: Never, ever cry… Seventeen-year-old Eureka won’t let anyone close enough to feel her pain. After her mother was killed in a freak accident, the things she used to love hold no meaning. She wants to escape, but one thing holds her back: Ander, the boy who is everywhere she goes, whose turquoise eyes are like the ocean. And then Eureka uncovers an ancient tale of romance and heartbreak, about a girl who cried an entire continent into the sea. Suddenly her mother’s death and Ander’s appearance seem connected, and her life takes on dark undercurrents that don’t make sense. Can everything you love be washed away? This was an interesting fantasy/paranormal/mythology novel, but to be honest, it wasn’t what I expected at all. Having read the prequel, I thought there would be more explanations of Ander and his family, but readers are left with little more knowledge in this full novel than they received in the prequel, and I really wanted to know more, especially since the entire mythology aspect completely floored me. I wasn’t expecting it, and it didn’t even register in my mind until close to the big reveal, even though there are clues woven throughout the novel. And yet, some of those clues really left me scratching my head at the time of their revelation. Perhaps that is because the novel itself is just so secretive. I knew going in that there were going to be many secrets in this book, but I felt like there were just too many. 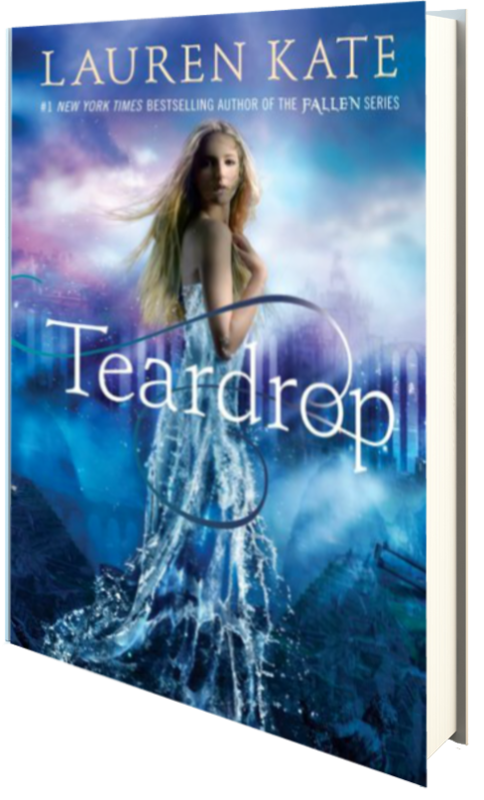 I like to have some semblance of what’s going on in my novels, but I didn’t feel like I was any closer to the truth as I read Teardrop because it’s all so secretive. For instance, the entire story surrounding Eureka’s mother and her instruction to never cry went completely over my head—I remember actually thinking, “why is this here?” as I was reading through the novel; I thought it was a random inclusion and it didn’t make sense to me at the time because it didn’t mesh with anything else happening around the randomly inserted scene. And then I found out that it was the crux of the entire novel. I mean, this is called Teardrop, after all, but in this case, I feel like that should have been played up a bit more. Perhaps I just missed out on the other explanations and clues earlier on in the novel. It could be reader error, who knows. Regardless, though, this was a decent read. Though a bit choppy here and there, by the end of the story I was drawn in and dying to know what would happen next, realistic or not. While this novel is not on the same par as Kate’s Fallen Series, I will say that it’s a good read for those looking for something completely different. Just know that not all your questions are going to be answered in this first novel. Three stars. I borrowed this novel from the the public library. I’m just starting her other series, Fallen. I think this one is a little ways down on my TBR list, so hopefully i’ll get to it soon. Nice review!